Start your Saturday right this summer by sipping, savouring and strolling from location to location amongst wine-loving friends. The Geelong Heritage Wine Walk is back again for Saturday February 9, where the streets, laneways and footpaths of Geelong CBD will come alive as a hand-picked selection of the best heritage buildings open their doors, transforming into the ultimate cellar door experience. Promising a fresh, self-guided wine tasting experience, the Wine Walk is an afternoon out that you and your friends won’t want to miss. This year will see attendees visit The Waterfront Kitchen, The Geelong Boat House, Geelong Library, Geelong Gallery, The Geelong Hotel, The Geelong Club and Le Parisien, featuring two new venues. 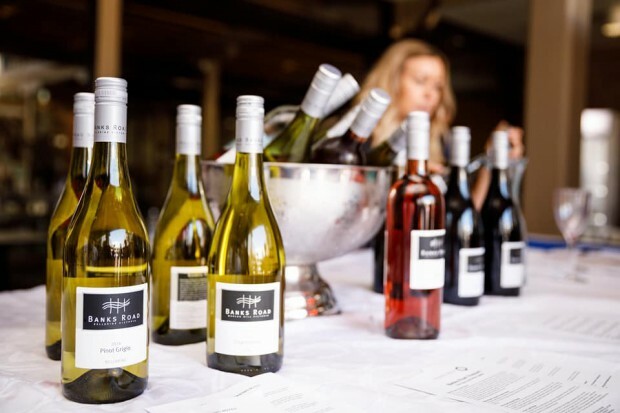 Get set to enjoy exceptional wines and an array of our regions finest dishes as seven premier venues open their doors and showcase some of Victoria’s finest wineries and food. The best part, it’s not just for wine lovers, you can spend your day sipping on whisky and gin from different distilleries across the region or even opt for a beer or cider, the choice is yours! So how does it all work? Simply, you choose the starting point, then gather your friends and walk to the other heritage sites from there. At your starting point, you will be given your tools for the day – a glass, a wristband, a pen, bottle of water, and a city map! Not only does buying a ticket get you entry to all seven gorgeous venues to explore, substantial canapes, and tasting of 4-6 premium wines at each venues, but all profits go to the APCO Foundation. From here, all money raised goes to the APCO communities to families and projects that need support. What better way to start your weekend than with a walk – and one which involves wine. Gather your friends for this self-guided tasting tour and help raise money for the people who need it most.